The Doctors wanted to talk about pasta, and Dr. Travis Stork admitted he would actually move to Italy for pasta alone. But what he really wanted to talk about was the idea that you could make pasta a little more diet friendly without changing one single ingredient. The BBC show Trust Me, I’m A Doctor made the claim, so The Doctors wanted to put it to the test. Leslie, one of the producers for The Doctors, explained that the reason you’re hungry so soon after eating a bowl full of pasta is because our bodies break down starchy foods very quickly and convert them into sugar. That causes a spike in your insulin levels, and the sudden spike is why many refined carbohydrates are unhealthy. 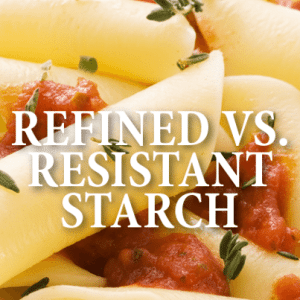 But there’s a theory out there that if you just change the temperature of the starchy foods, you can actually make them healthier and have fewer calories. They decided to do a little experiment. They put together a team of three people who would only eat pasta for three days. The difference is that they’re going to eat the pasta at different temperatures. On day one, the team ate freshly cooked pasta and then take their own blood samples every 15 minutes to test their blood glucose levels. On day two, the team ate cold pasta that they let chill overnight in the refrigerator to see if by tweaking the temperature of the pasta a little bit, they could change it from a refined starch, which isn’t healthy, to a resistant starch, which is healthier because your body treats it like fiber. The Doctors: Is Reheated Pasta Better For You? One day three, they reheated the pasta in the microwave, which is supposedly the healthiest way to eat pasta. Dr. Stork shared that there was an approximate 55% spike in glucose an hour after eating regular pasta. The cold pasta was a 30% spike in blood glucose levels and the reheated pasta caused only a 25% spike. Dr. Stork said it doesn’t necessarily make it healthy, but it makes it a little better. Dr. Jennifer Ashton said there is a lot of nutritional information about the glycemic index, which is basically how much a given food boosts your glucose level after eating it. What is conclusively known is that how a food is prepared, processed, or cut, all affects the glycemic index. Dr. Rachael Ross suggested making pasta dishes by cooking the pasta the day before and then reheating it, while Dr. Drew Ordon suggested just eating a brown rice-quinoa pasta combination. The reheating idea also applies to foods like potatoes and rice.